In this type of lab equipment. Specified particles are ejected from solid material. The material is hit by particles with high kinetic energy. Ions and atoms of the specified material exchange energy due to high impact energy of the foreign particles. Sputter refers to the number of atoms being ejected from the material per ion hitting it. This can happen at the spot of impact or the radiating energy dispersal can cause the atoms to disperse from the opposite side of the material. 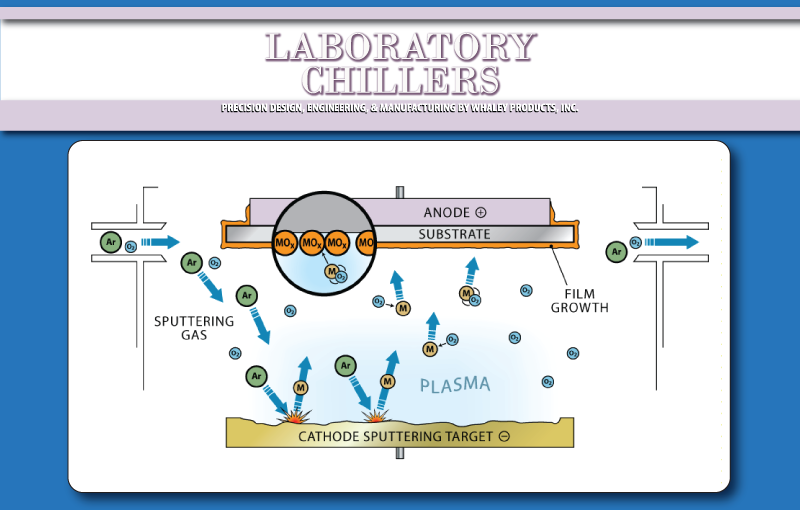 Sputtering is done with plasma, alpha particles from radioactive material, or an accelerator. The four different types of sputtering are heat spike, preferential, electronic, and potential. Sputtering is used to deposit thin films on an objects surface such as a silicon wafer. When the atoms are dispersed in the vacuum they adhere to any object present within it. Sputtering is also used for anisotropy, etching in semiconductors. Mass spectrometry is also made possible by sputtering. As the material is etched away the atoms are measured and identified to provide specific material composition.